Can I get a trademark if a similar Trademark exists? In a likelihood of confusion determination, the marks in their entireties are compared for similarities in appearance, sound, connotation, and commercial impression. In re E. I. du Pont de Nemours & Co., 476 F.2d 1357, 1361, 177 USPQ 563, 567 (C.C.P.A. 1973); TMEP §1207.01(b)- (b)(v). Marks may be confusingly similar in appearance where similar terms or phrases or similar parts of terms or phrases appear in the compared marks and create a similar overall commercial impression. Similar trademarks having similar goods and service description. 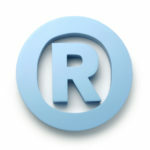 Similar trademarks having similar goods classifications. In re Pellerin Milnor Corp., 221 USPQ 558, 560 (TTAB 1983) (finding MILTRON and MILLTRONICS confusingly similar); TMEP §1207.01(b)(ii)-(iii). Viterra Inc., 671 F.3d 1358, 1367, 101 USPQ2d 1905, 1912 (Fed. Cir. 2012). mind of a purchaser and remembered” when making purchasing decisions). Consumer confusion has been held likely for marks that do not physically sound or look alike but that convey the same idea, stimulate the same mental reaction, or may have the same overall meaning. DOWNTOWNER for the same services); TMEP §1207.01(b).